Researchers from Penn Medicine have presented study results showing that the behavior of clinicians was influenced by their patients' genotype data when prescribing antiplatelet drug regimens. The first-of-its-kind study was designed to examine how closely clinicians’ prescribing practices of antiplatelet treatments followed current research suggesting that patients who carry a mutation of the CYP2C19 gene impacting the liver's ability to process the antiplatelet drug clopidogrel (sold by Bristol-Myers Squibb and Sanofi as Plavix®) may not benefit from the drug. Such patients instead would require different antiplatelet medications, such as prasugrel (sold by Eli Lilly as Effient®) or ticagrelor (sold by AstraZeneca as Brilinta®), to prevent heart attack and stroke. Patients are typically prescribed antiplatelet treatments as well as aspirin following percutaneous coronary intervention (PCI). 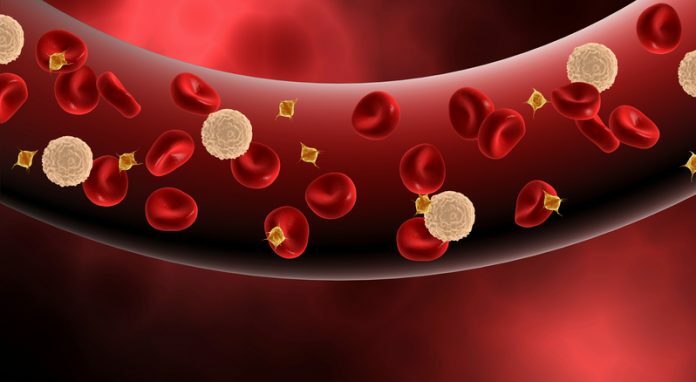 In the study, “Assessment of prospective CYP2C19 genotype guided Dosing of AntiPlatelet Therapy in Percutaneous Coronary Intervention – ADAPT-PCI,” 504 participants from two Penn Medicine hospitals—the Hospital of the University of Pennsylvania and Penn Presbyterian Medical Center—were randomized into two groups. A group of 249 participants received a rapid point-of-care genotyping of the CYP2C19 gene, while the other group of 255 received current standard of care, which does not entail any genotyping. Participants in the genotyped group received a cheek swab within one day after PCI to determine CYP2C19 genotype, with the results available to clinicians within 90 minutes of the test being done. The research team used SpartanRx quality control kits for CYP2C19 genotyping provided by Spartan Bioscience. Physicians were verbally provided genotype results along with decision support, in the form of a one-page summary of the treatment recommendations by genotype according to the Clinical Pharmacogenetics Implementation Guidelines (CPIC). Treating physicians alone made prescribing decisions, the researchers said. “Clinicians were provided with a real-time, rapid response genetic test and an appropriate level of education for using said test, which would identify patients' genetic mutation, CYP2C19 Loss-of-Function (LOF) alleles. We thought this precision medicine approach would impact the medications being prescribed to patients following PCI,” the study’s senior author, Jay Giri, M.D., said in a statement. Dr. Giri is associate director of the Penn Cardiovascular Outcomes, Quality, & Evaluative Research Center and an assistant professor of cardiovascular medicine. Among genotyped study participants, the use of prasugrel or ticagrelor was significantly higher and the use of clopidogrel was lower compared to the standard-of-care group. The primary outcome–prescription of ticagrelor or prasugrel was 30% among participants in the study’s genotyped arm, vs. 21% in the standard-of-care arm. Among loss of function carriers, prescription of ticagrelor or prasugrel was 53%, vs. 21% for standard-of-care. Genotype-guided drug recommendations were followed in 71% of cases, the researchers reported. “This implies that physicians consider factors beyond the genotype when deciding the most appropriate antiplatelet medication for their patients, which is the premise of precision medicine,” said the study’s lead author, Sony Tuteja, PharmD, MS, a research assistant professor of Translational Medicine and Human Genetics. Dr. Tuteja presented the study results on March 10 in a late-breaking featured clinical research session at the American College of Cardiology Scientific Sessions 2018 (ACC 2018), held March 10-12 in Orlando, FL. Among questions that were raised by the study, according to researchers: How do physicians apply precision medicine into their own practices? And will the availability of patient-specific genetic information impact the standard of care? The study was funded by an intramural grant from the Penn Center for Precision Medicine.